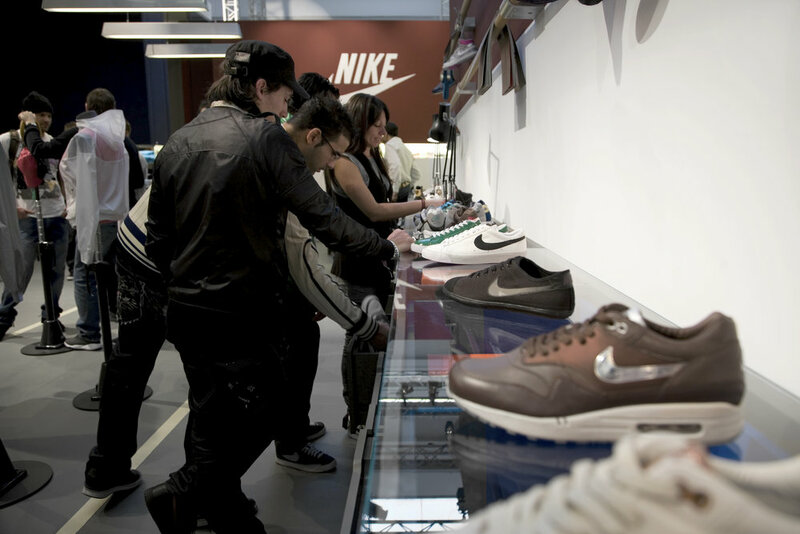 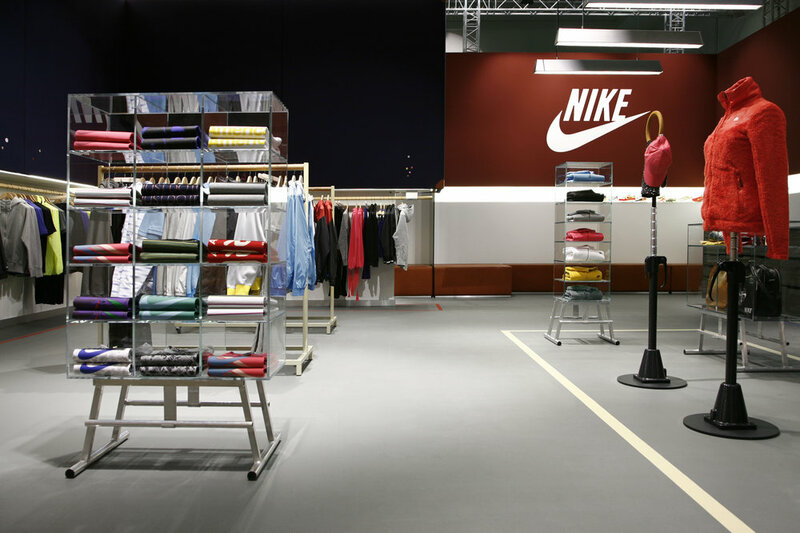 A prototype for a stand alone Nike Sportswear retail concept for rollout in Europe, the Middle East and Africa. 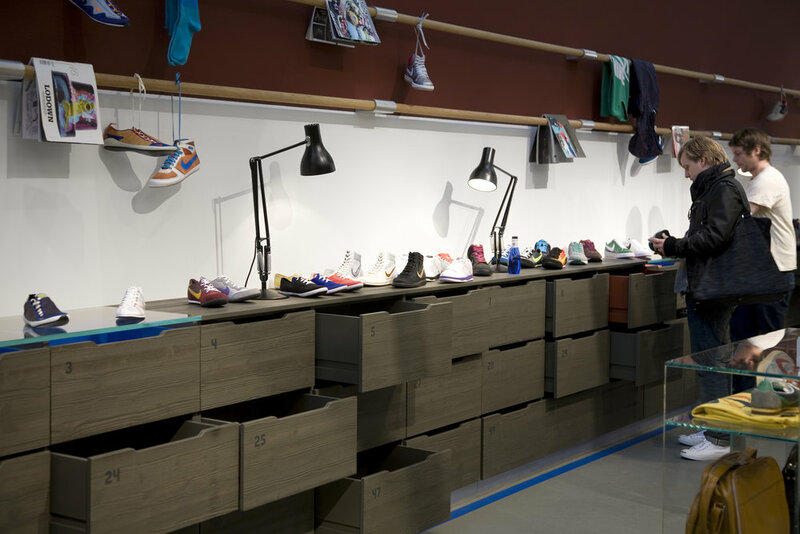 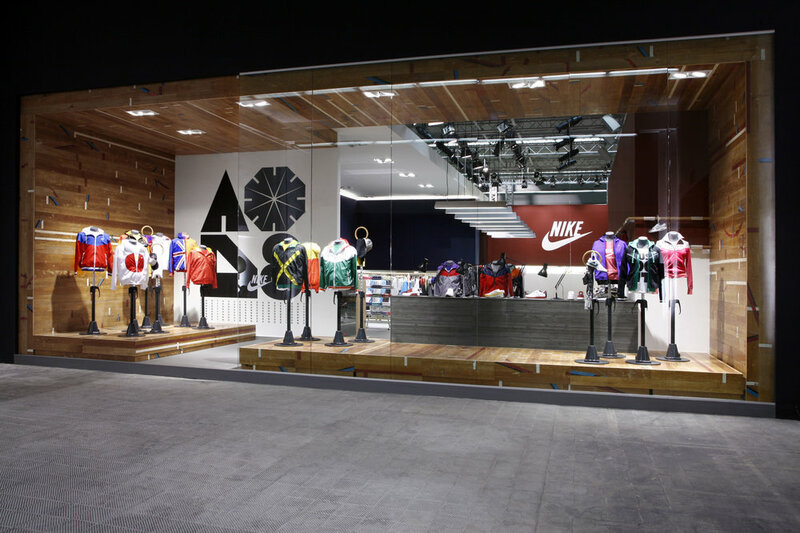 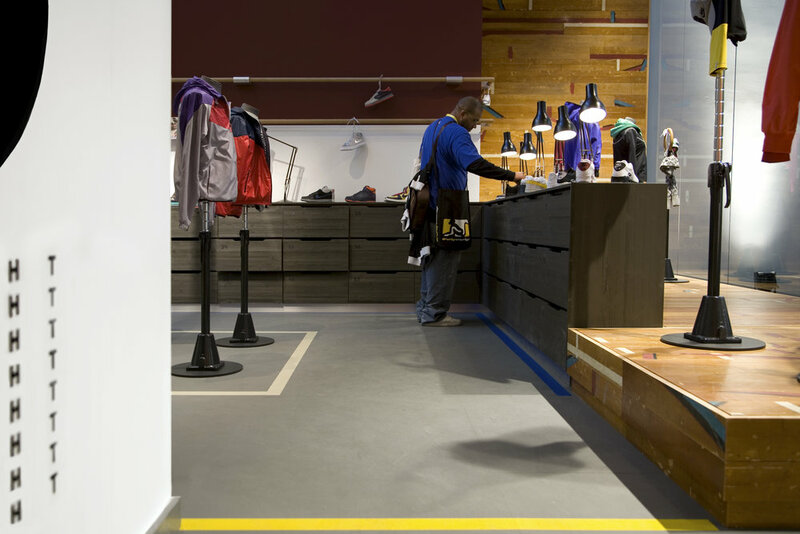 The concept was rooted in Nike's own heritage, utilizing sports references and found objects such as reclaimed gym floors, canvas mattes, and cast concrete bleachers cast from original Oregon running track bleachers. 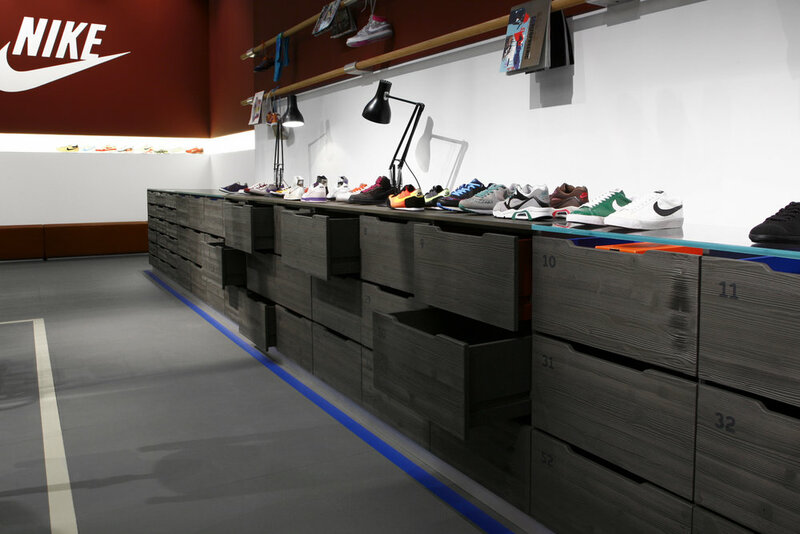 The concept evolved from this prototype and was executed in several cities across Europe.